But guess what made the audience applaud. 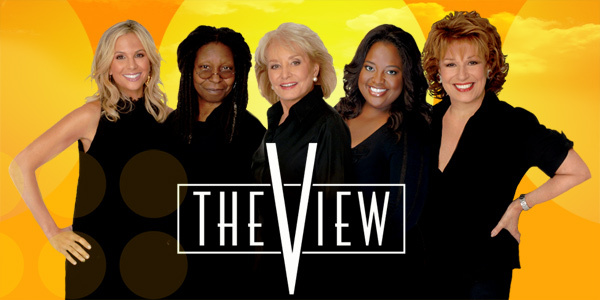 This week, anti-life members of The View cast demonstrated their bias once again in a discussion about the proper nomenclature that should be applied to individuals with mental and chromosomal abnormalities. In a despicable demonstration of the all-too-common liberal tendency to defend their own at all costs, Walters and Goldberg “reasoned” that because “retarded” used to be an acceptable term to describe persons with chromosomal or other disabilities, Bill Maher was justified in his hate speech. The discussion left viewers dumbfounded at the irony that the same cast who will defend Maher’s senseless hate speech tears into anyone who dares to express opposing viewpoints (such as the pro-life views discussed on the show here and here). Barbara Walters explains that her mentally challenged sister was called “retarded” growing up, since that was the normal term in those days. She argues that Bill Maher couldn’t have “intended to be mean-spirited,” and that he didn’t know that using the term “retarded” is derogatory (because it’s simply inexplicable to imagine Bill Maher being scathingly cruel at the expense of entire groups of people in the name of “comedy”). Whoopi Goldberg jumped in to agree with Walters in supporting Maher, saying that it is society’s fault that the term “retarded” became a derogatory term at all. And somehow that excuses Maher’s hate speech. As is the norm, Elisabeth Hasselbeck was the sole voice of reason in this discussion, calling out Walters on her bogus claim that poor Maher simply didn’t know the difference between right and wrong. Hasselback stated that there is not one compassionate person on earth who would get in front of an audience unaware of the fact that using the term “retarded” to refer to a mentally challenged individual is derogatory. In a conclusion that leaves the viewer with a glimmer of hope for humanity, Hasselbeck’s comment is the only one that gleaned applause from the audience.